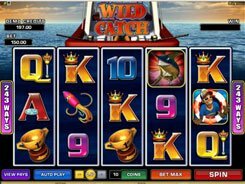 This is a 5-reel nautical-themed slot featuring 40 paylines, a wild, an expanding wild, a scatter, free spins, and a bonus round. A coin denomination is configured from $0.01 to $1, and each line accepts up to 5 coins, thus the floor and ceiling bets are $0.4 and $200 with all lines made playable. 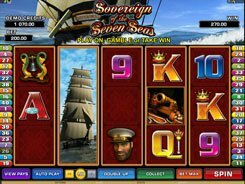 The symbols are standard playing cards from Nine to Ace as well as sea related symbols. A wild is depicted by a woman figurehead that substitutes for all symbols and expands to cover all reel positions when landing on reels 2, 3 and 4. 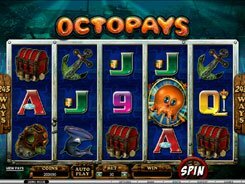 Three or more scatter cannons activate a free spins bonus round where you are presented with three barrels. 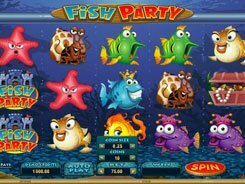 Your task is to pick any barrel that will reveal the number of free spins (10, 15 or 20) and a multiplier value applied to the payouts during the feature (x2, x3 or x4). 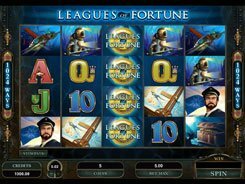 Besides, two to five scatters occurring anywhere on the reels win up to $20,000, which is the biggest loot up for grabs. 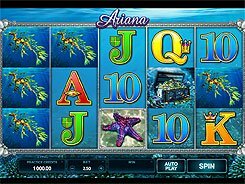 Overall, the game does not have as many bells and whistles as lots of other 5-reel games have, yet its smooth gameplay and flexible betting options will be appealing for most slot fans.